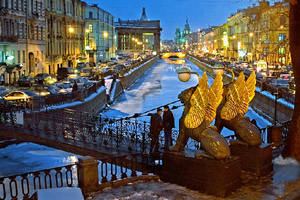 This Russian Winter tour introduces you to the most exiting time in Russia - New Year's celebration. While for many people the frenzy of the biggest holiday is subsiding, in Russia this is just the beginning of a 2-week-long holiday. During the Soviet times, when Christmas was non-existent, its traditions were transplanted to New Year's. Today in addition to regular New Year's Russians celebrate old Russian Christmas and old Russian New Year's. Welcome to Moscow! Upon arrival, after clearing passport control and customs proceed to the arrival area to meet our representative. You will be assisted to your vehicle and transferred to the hotel. Hotel check-in. Free time to relax, explore the magnificent city center on your own, dine in one of the local restaurant. Overnight in Moscow. Our Russian tour begins with the City tour of Moscow. This is a general overview of the city and its main areas within the boundaries of the Garden Ring and the Boulevard Ring: Red Square, Kremlin, Kitay Gorod, Tverskaya, Arbat and Zamoskvorechje. 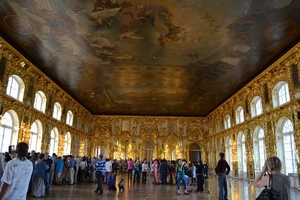 The tour will get you acquainted with the city and its main landmarks: Red Square and Kremlin, St. Basil's Church, Cathedral of Christ the Savior, Luzhniki, the White House, Moskva River and others. 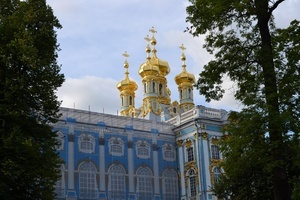 You will drive to the Sparrow Hills, 6 km south-west of the Kremlin, topped by the Moscow University skyscraper, for the best panoramic view of the city. Today we will explore Moscow Metro - one of the most beautiful and efficient subway systems in the world carrying. It was designed by prominent Russian architects and artists whose goal was not to create just a transportation system but a showcase to glorify the socialism and its achievements. You will visit the most amazing stations decorated with granite, marble, bronze, statues and other pieces of art - making it look more like a museum than a subway. In the afternoon you will explore a fairy tale Red Square that is especially charming in winter with all this sparkling snow covering the bright domes of the St. Basil's Cathedral and see the brightly illuminated exteriors of the GUM. Inside Kremlin the main landmarks are three Assumption, Annunciation and Archangel Cathedrals dating back to the 15-16th centuries, Ivan the Great Bell Tower, Tsar Bell, Tsar Cannon, Hall of Facets and Terem Place. 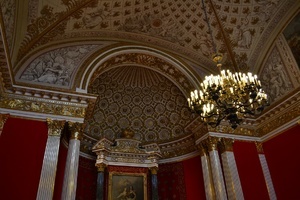 Your tour will include a visit to the Armory, that houses a unique collection of crown jewels, stunning coronation finery, handforged armor and weapons, royal carriages and sleighs, and world-famous Fabergé eggs. 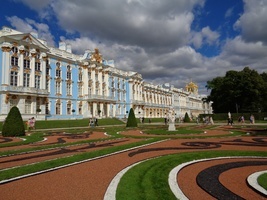 After breakfast you meet your guide in the morning for a city tour of St. Petersburg – Venice of the North. The city is known for its elegant buildings and stately palaces, intricate bridges and amazing museums, historical monuments, royal palaces and parks. 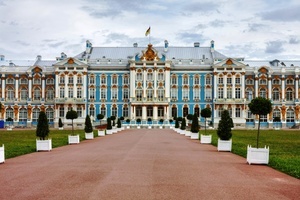 On your tour you will drive by many landmarks such as Schmidt Bridge, Strelka with Stock Exchange and Rostral Columns, St. Isaac's Cathedral, Peter and Paul Fortress, Alexander Nevsky Lavra, Palace Square with Winter Palace and Alexander Column, Bronze Horseman - the famous monument to Peter the Great, Admiralty, Canal Griboyedova, Fontanka, Kazan Cathedral & many others. During the tour you will visit the gorgeous St. Isaac's Cathedral, the Church of the Savior on Spilled Blood which stands on the site where Russia's great emperor Alexander II was mortally wounded, and the Peter and Paul Fortress - a burial place of almost all the Russian emperors and empresses from Peter the Great to Nicholas II and his family. Later visit the Museum of Russian Vodka where you learn how vodka has been made and consumed over the ages and then have the chance to try out several different vodkas and traditional Russian snacks. 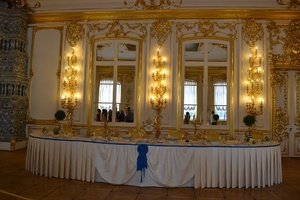 Tonight is New Year's Eve and time to celebrate, Russian-style!